Spigot is a type of adware. Adware is an increasingly common intrusion on many Macs. It usually comes bundled with what looks like the legitimate download from reputable sources, but installs extension in your web browser to display intrusive adverts. The first thing to know is that it’s not a virus, it doesn’t self replicate and move from computer to computer over a network or by shared storage. Spigot is a form of adware that bundles itself alongside downloads from some software download sites. Among those reported to have included Spigot in a wrapper around downloads are Download.com and Softonic. That’s a good reason to avoid downloading from those sites. Once downloaded, Spigot installs extensions in web browser on your Mac. The extensions have names like Amazon Shopping Assistant and Ebay Shopping Assistant. But they don’t assist in anything, instead the Spigot toolbar displays intrusive adverts on your Mac. Like other adware, the adverts lead to web pages that carry the risk of infection from further malware. And Spigot almost certainly tracks data like sites you visit, IP address and search history. If you suddenly started seeing adverts during web browsing sessions that bear no relation to sites you have visited, or searches you’ve made, it’s possible you’ve installed some form of adware. And if you’ve downloaded software from sites that use proprietary download managers, like Download.com and Softonic, that risk is even higher. Fortunately, getting rid of Spigot is just a matter of removing browser extensions from all the browsers you use on your Mac. Launch Safari and click on the Safari menu and choose Preferences. Click on the extension and press Uninstall. Repeat steps 3 and 4 for extensions named Amazon Shopping Assistant and Ebay Shopping Assistant. Quit Safari and relaunch it. Click the “More” button (three vertical dots) in the toolbar. Locate the Searchme extension and press Remove. Repeat step 4 for extensions named Amazon Shopping Assistant and Ebay Shopping Assistant. Once you’ve removed all three extensions, you can quit Chrome. Click the three horizontal lines to the right of the toolbar. You have now removed the browser extensions from Safari, Chrome, and Firefox. If you use a different browser, use the instructions above to remove the extensions there. You can usually find an Extensions panel in Preferences or Settings. These files are all located in your User Library folder. The easiest way to find it is to go to the Go menu in Finder and choose Library. Alternatively, go to the Go menu Choose Go to Folder, and paste each line above in turn to find each file. Launch the app and choose Malware Removal in the sidebar. Press Remove to get rid of adware. CleanMyMac’s malware database is updated regularly and it knows about even the most recent Mac malware. 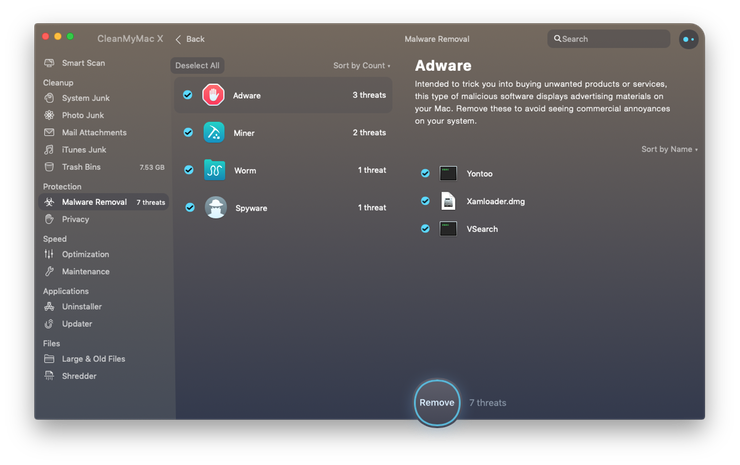 If you use it to regularly scan your Mac, you will know that your Mac is always free from malware. The Spigot virus isn’t a virus at all, it’s adware that hides in downloads from different sites. Many of these sites use proprietary download managers that wrap the app you want to download and include other software. Spigot uses that to bundle itself and install itself on your Mac. Fortunately, removing Spigot on macOS isn’t difficult, though if you use more than one web browser, you’ll have to go through each of them and remove it from each one. 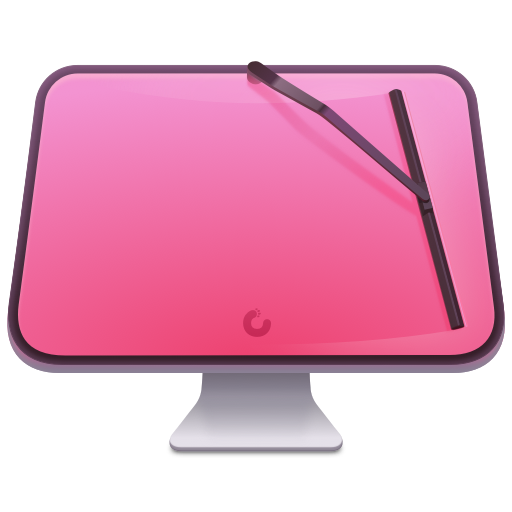 The easiest way to remove Spigot from your Mac, however, is to use the malware utility in CleanMyMac X, which can detect it and remove it at the press of a a button.